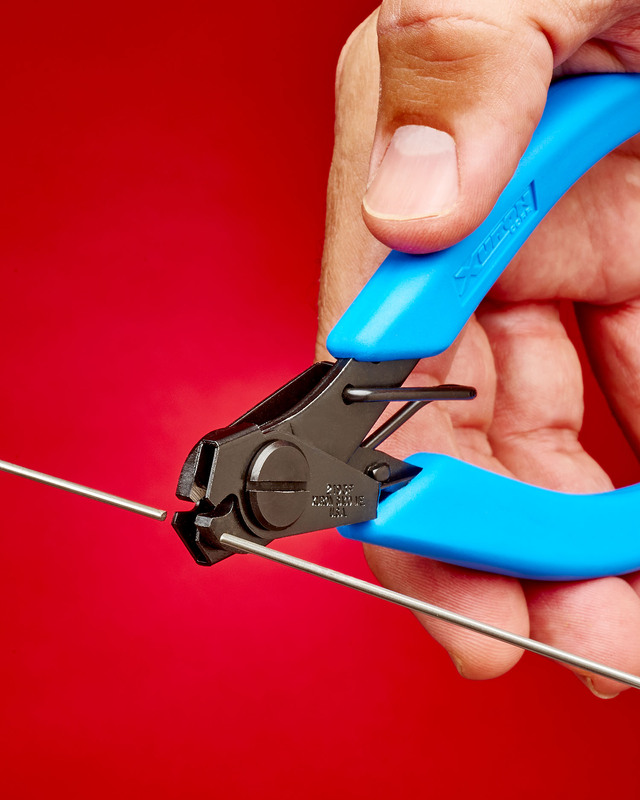 An ergonomic hard wire flush cutter that features retaining clamps that hold the wire securely and perpendicular to the jaws to assure square cuts to both ends is available from Xuron Corp. of Saco, Maine. The Xuron® Model 2193F Hard Wire Cutter features self-adjusting clamping fixtures which hold the wire being cut securely and perpendicular to the robust cutter jaws for a clean cut on both ends of the wire. Designed to simplify the process of precisely cutting hard wire, the cutting jaws and wire retaining clamps work together to produce the perfectly square cuts. Suitable for music wire up to 0.060”, the Xuron® Model 2193F Hard Wire Cutter is made of tough alloyed steel and heat treated, with hardened cutting edges to Rc 60-62, and a precision screw and post pivot. They have a glare-eliminating black finish, cushioned Xuro-Rubber™ hand grips which are comfortable to hold, and incorporate a return spring. The Xuron® Model 2193F Hard Wire Cutter sells for $34.00 (list). Literature is available upon request. This industrial-duty cutter is made in the USA.